Further casting has been announced for the upcoming West End and world premiere of Tina – The Tina Turner Musical at the Aldwych Theatre. Joining the previously announced Broadway star Adrienne Warren, who plays the title role of Tina Turner, are Kobna Holdbrook-Smith (previous credits include Hamlet at the Barbican alongside Benedict Cumberbatch) as Ike Turner, Madeline Appiah (Hamlet, Almeida/West End) as Tina’s mother Zelma Bullock, and Jenny Fitzpatrick (Boudica, Shakespeare’s Globe) as the alternate Tina Turner. 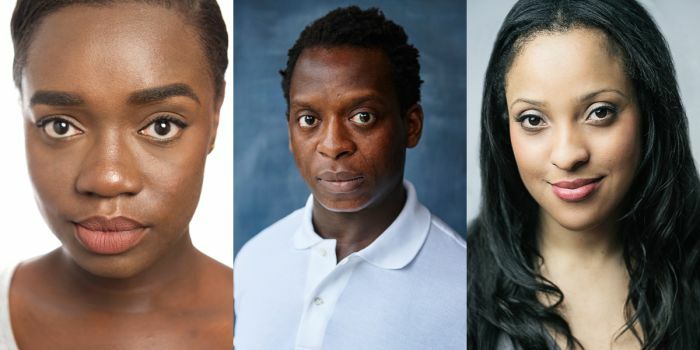 The show will also star Lorna Gayle (A Tale Of Two Cities, Regent’s Park) as Tina’s Grandmother GG, Tom Godwin (City Of Glass, Lyric Hammersmith) as Record Producer Phil Spector and Lyricist Terry Britten, Francesca Jackson (Kiss Me Kate) as Ike and Tina’s manager Rhonda Graam, Aisha Jawando (Motown The Musical) as Tina’s sister Alline Bullock, Natey Jones (Doctor Faustus, RSC) as Tina’s father Richard Bullock and Tina’s first love Raymond Hill, Gerard McCarthy (Call The Midwife) as record company Marketing Manager Erwin Bach, and Ryan O’Donnell (Sunny Afternoon, West End) as Tina’s Manager Roger Davies. Directed by Phyllida Lloyd and written by Katori Hall with Frank Ketelaar and Kees Prins, the world premiere of the new show Tina – The Tina Turner Musical will open at the Aldwych Theatre in April 2018. From humble beginnings in Nutbush, Tennessee, to the global Queen of Rock ‘n’ Roll, Tina – The Tina Turner Musical is the new biographical musical which follows the story of a global icon, featuring her much loved songs. Book your Tina – The Tina Turner Musical tickets today!